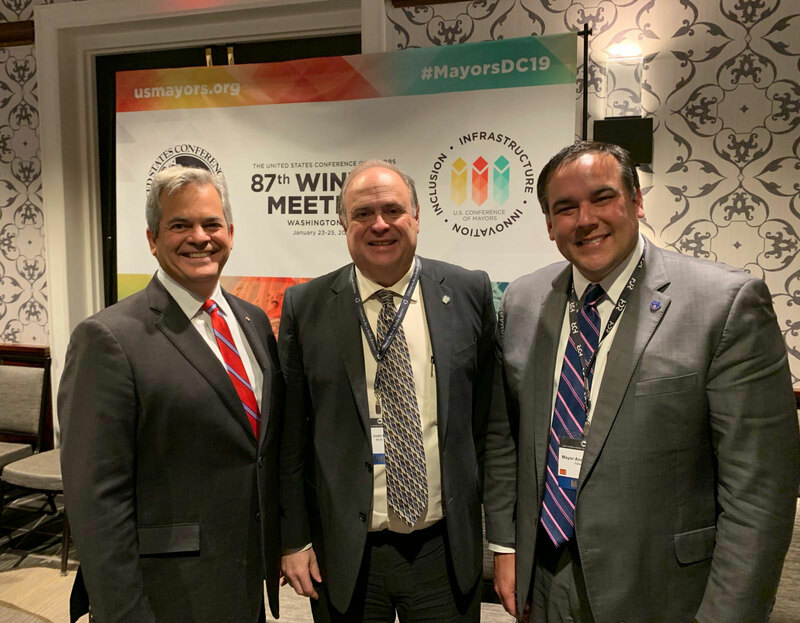 From January 23rd to January 25th, Mayor Juan Carlos Bermudez attended the U.S. Conference of Mayors (USCM) 87th Winter Meeting in Washington, DC along with more than 250 of the nation’s mayors. Doral, FL – From January 23rd to January 25th, Mayor Juan Carlos Bermudez attended the U.S. Conference of Mayors (USCM) 87th Winter Meeting in Washington, DC along with more than 250 of the nation’s mayors. 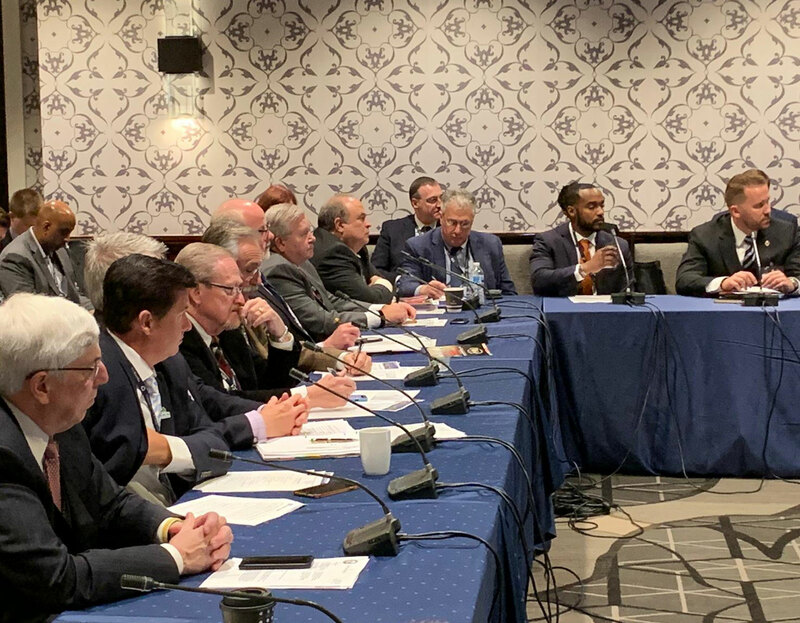 Under the leadership of USCM President Columbia (SC) Mayor Steve Benjamin, mayors discussed a wide variety of priorities that contribute to the overall health of America’s cities, including: Infrastructure, Immigration, Jobs and Affordable Housing. With more than 85 percent of Americans living in U.S. metropolitan areas, mayors are on the front lines of today’s challenges and have consistently called on Washington to draw on mayoral expertise. During the Meeting, mayors from both sides of the aisle, from cities rural, urban and suburban, will hold sessions on a range of issues, including infrastructure, immigration, climate, opportunity zones, automation and the economic future of cities. “The Winter Meeting of the U.S. Conference of Mayors is a critical and important way for cities across the country to stay connected with one another. It’s a unique opportunity for mayors—whether Democrat, Republican or Independent—to roll up their sleeves, brainstorm about how to solve similar problems, and share best practices. As the gridlock and partisanship in Washington continues to escalate, mayors remain on the front lines working productively every day for the well-being of the people who live and work in their cities. There’s no better time for the nation’s mayors to come together to work on their shared priorities and build a brighter—more inclusive—future for all Americans,” said USCM President and Columbia (SC) Mayor Steve Benjamin. From left to right: Mayor Steve Aldor (Austin, TX), Mayor Juan Carlos Bermudez (Doral, FL), Mayor Andrew Ginther (Columbus, OH). Mayor Juan Carlos Bermudez joins other mayors at the table to interchange best practices and experiences.